If you’re coming up to Cambridge this October, hurrah! Whether you’re already excited about Jesus, not sure whether faith is still for you, or you’ve just stumbled across this page whilst doing your pre-uni googling, we’d love to get to know you!  There’s a community of Christians and those exploring the Christian faith in every college – why not get in touch with your college reps and let them know you’re coming up? They’d love to pray for you, meet you when you arrive, and let you know about freshers’ events they’ll be running in your college. Or if you have more specific questions, you can contact the CICCU’s Executive Committee here. University is a brilliant time to mature in your relationship with God and to grow as a Christian. The best way to do that is to join a local church. The CICCU isn’t a substitute for church and isn’t joined to any single church either – it’s made up of Christians from lots of different churches. So while we’re here to help anyone who’s interested explore Christianity and living for Jesus at university, we’d strongly encourage anyone serious about the Christian faith to make regular involvement with a church a priority. If you’d like, your college group reps would be happy to help you find a church. During the first few weeks of term, many college CUs put on a breakfast and then walk with you to whichever church you’d like to visit. Get in touch with your college group reps to find out more about how things work in your college. When looking for a church, it’s a good idea to choose somewhere that Jesus is Lord and the Bible is taught faithfully – and somewhere that you’ll be equipped and encouraged to worship Jesus, grow in knowledge and love of him, and share him in the world around.